Sprint has announced that the LG X Power is coming to their network and the handset is also launching on Boost Mobile. The LG X Power is now available on Boost Mobile and it will be available on Sprint on Friday the 23rd of September for $129.99. Live life to the extreme with the LG X power™ from Sprint and Boost Mobile. With nearly two days of battery1 power this smartphone can do it all with time to spare. A movie marathon, snapping photos from morning to night, or an impromptu dance party with your phone becoming the DJ – X power has you covered. There are two ways to save with the X power, available today and priced at $129.99 (plus tax) from Sprint’s leading no-contract brand Boost Mobile. It will also be available Friday, Sept. 23, from Sprint through Installment Billing – the customer will own the phone after completing convenient monthly payments. For qualified customers, X power will cost $0 down (plus tax) and $9 per month for 24 months2. 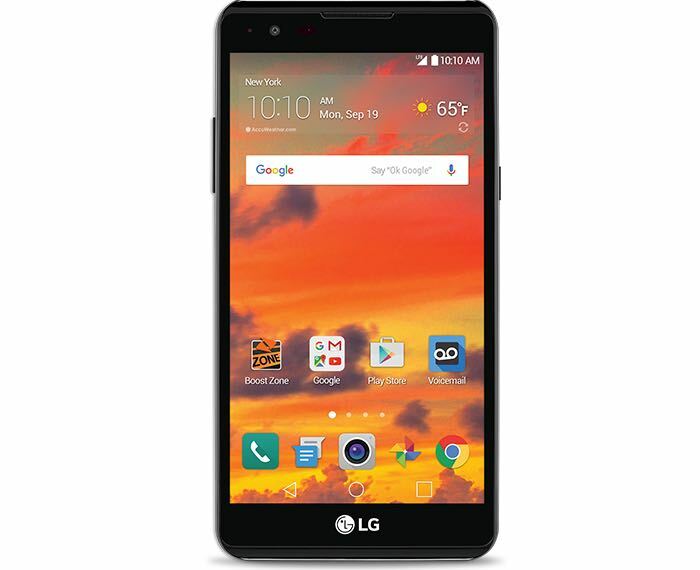 You can find out more details about the LG X Power over at Sprint and Boost Mobile at the links below, the device will be available on Sprint’s installment plan.